It was a family tradition. McCain was a direct descendant, he claimed, of a captain in George Washington's army during the Revolutionary War. On the day of his 23rd mission over Vietnam, his A-4 Skyhawk was hit as he flew across Hanoi's skies. He was released in 1973 after the Paris Peace Accords, but the physical consequences of his deliberately ill-treated fractures -- and torture in prison -- would cost him his career as a pilot. "For some reason it was not my time then, and I do believe that therefore because of that, that I was meant to do something," he said in a 1989 interview. That something, it became clear, would be politics. After a few years as the Navy's Senate liaison, McCain moved to Arizona, the home state of his second wife, and won a seat in the US House of Representatives in 1982. He saw little use for party discipline, an attitude reinforced by his past episodes of rebellion -- as an unruly student at the US Naval Academy, or a hotheaded prisoner provoking his Vietnamese jailers. 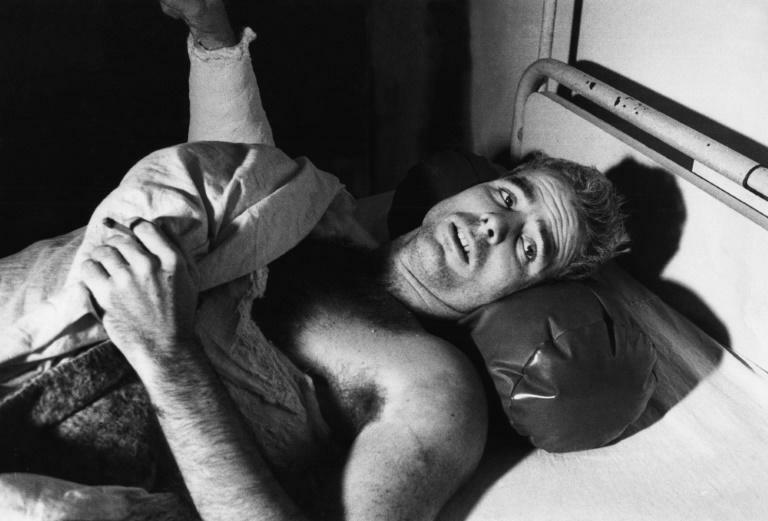 "Surviving my imprisonment strengthened my self-confidence, and my refusal of early release taught me to trust my own judgment," McCain wrote in his 1999 memoir, "Faith of My Fathers." A self-proclaimed "straight talk" campaigner, he offered Americans his moderate-right vision, while keeping at arm's length the Christian conservatives that his opponent George W. Bush had successfully seduced. With the White House within reach, he made an instinctive -- and deeply controversial -- call. Many of his associates would never forgive him for choosing as his running mate a virtual unknown, the untested Alaska governor Sarah Palin. Democrat Barack Obama easily prevailed in the election. McCain, now twice defeated, took to joking about how he started sleeping like a baby: "Sleep two hours, wake up and cry, sleep two hours, wake up and cry." "That's a dumb question," he told one probing journalist. But the snappy tone could turn to self-deprecation: "I don't think I'm a very smart guy," he once said. He could also be volcanic, especially about causes dear to him: the armed forces, American exceptionalism and, in his later years, the threat posed by Russia's Vladimir Putin, whom he branded "a murderer and a thug." McCain's fellow Republicans occasionally mocked his interventionist reflexes, noting he could never say no to a war. After all, he once referenced a Beach Boys tune when singing about whether to "bomb bomb bomb" Iran. To the end, McCain remained convinced that America's values should be shared and defended worldwide. He routinely hopped a flight to Baghdad, Kabul, Taipei, or a revolution-wracked Kiev, received more like a head of state than a lawmaker. After the annexation of Crimea, Russia placed his name on a blacklist in retaliation for US-led sanctions. "I guess this means my spring break in Siberia is off," he shot back. 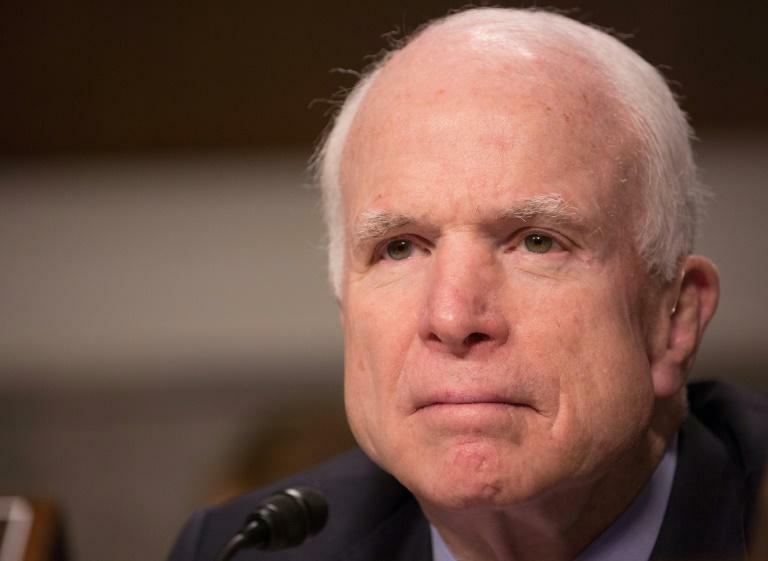 Regarding Russia or Syria, McCain's voice carried far. But the senator was in effect a general without an army. Trump's election seemed to trample on the struggles and ideals of the veteran Republican, who quickly grew dismayed by the billionaire businessman's nationalism and protectionism, his flirtation with Putin and his seeming contempt for the dignity of the office of president. He even took issue with Trump's multiple draft deferments during the Vietnam war, granted after he was diagnosed with bone spurs in his foot. But none of it made McCain want to recede into happy retirement. Perhaps thinking of his grandfather, who died just days after returning home following Japan's surrender in World War II, McCain sought to remain in the Senate for as long as he could, even faced with a diagnosis of aggressive brain cancer. 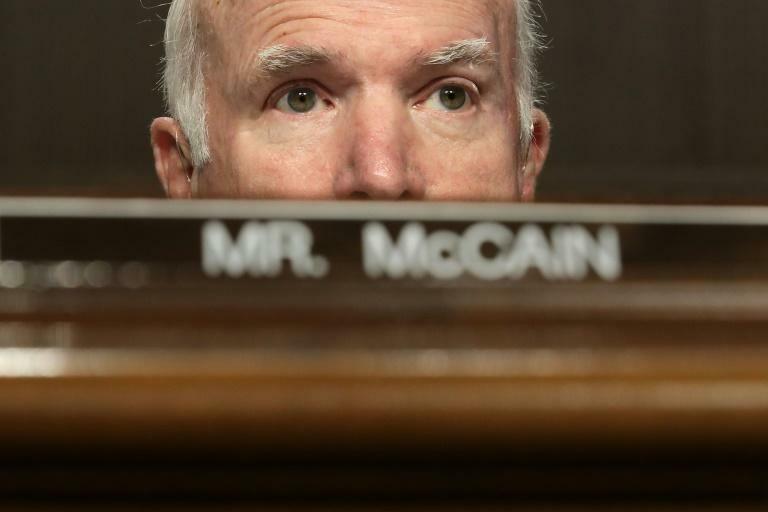 Since December 2017, he was kept away from the Senate floor as he underwent treatment in Arizona -- and received at his ranch a steady stream of friends and colleagues come to bid him farewell, away from the media gaze. On the eve of his death, his family announced that he was ending his treatment. McCain let it be known in his memoir published in May, "The Restless Wave," that he wished to be laid to rest in Maryland, near his old Navy pal, Chuck Larson. He is survived by his wife Cindy and seven children, three of them from a previous marriage.